They say that dogs are man’s best friend and time and again they have gone above and beyond our own expectations of them to prove how very true this statement is. Dogs aren’t just pets, they are partners, working alongside us in a number of capacities over the years. They help us to calm the mentally-ill, apprehend criminals, detect diseases, and in the case of the courageous canines discussed today, even sniff out danger we ourselves might not be consciously aware of. Dogs, in general, have an olfactory area of the brain that is about 40 times larger than that as a human. This means that they can smell things thousands of times stronger than we can. Beagles, in particular, have some of the most talented noses of any dog species out there, which is why the U.S. government recently decided to put their prodigious sniffers to good use. 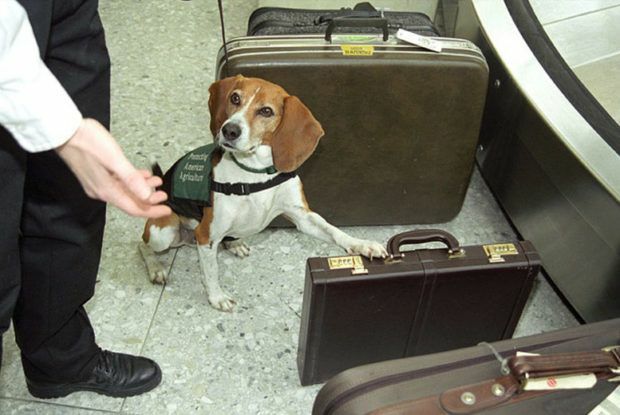 The band of dogs, known as the Beagle Brigade, walk around airports, wagging their tails and working hard to sniff out any banned food products currently arriving in shipments and personal luggage each day. 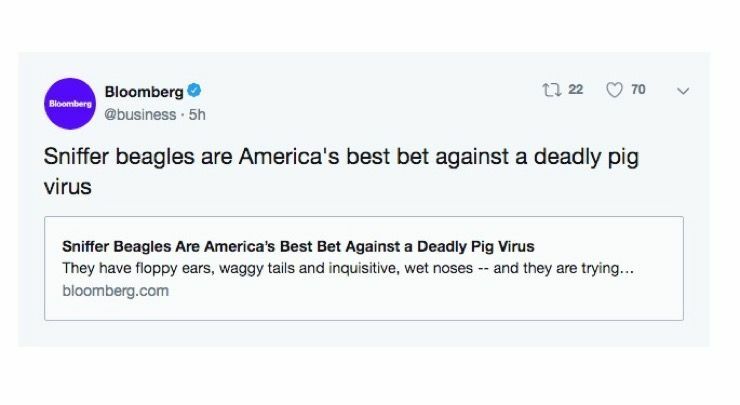 These beagle border guards are battling to keep the $23.4 billion American hog industry from falling prey to the deadly African swine fever. 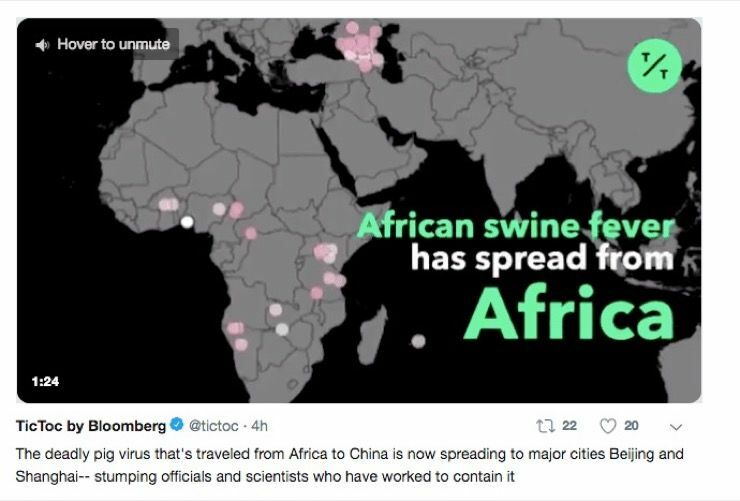 Though it originated in Africa, the pig-killing disease has already spread into China and Europe. 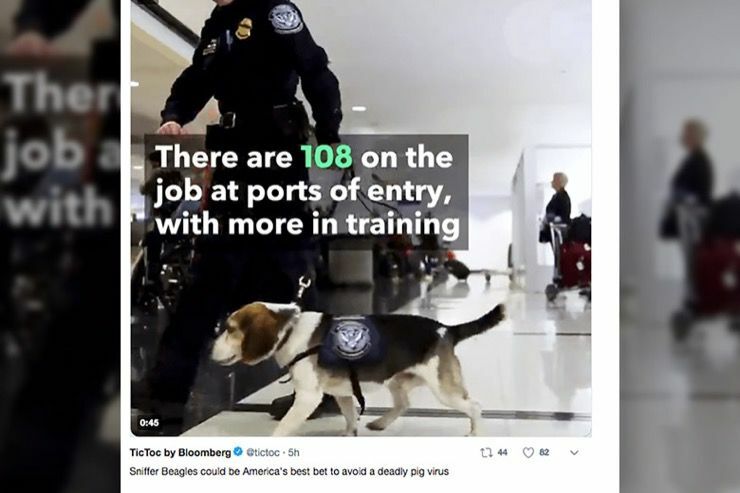 There is no vaccine and the beagles are being used to stop that spread into the U.S., which relies heavily upon its own pig population to put porcine product in our homes and restaurants. 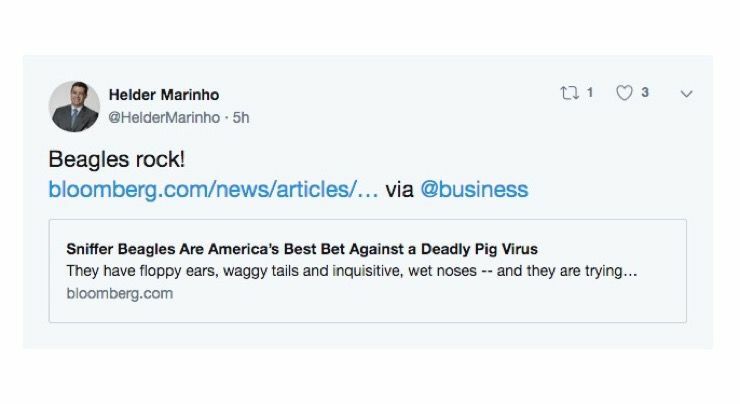 They do so by smelling for contraband and can even detect it through suitcases and the vacuum-packing used to transport pork products into the country. Thus far, the Beagle Brigade has effective in stopping the spread of any possibly-contaminated pig product. This is good, because any single sign of illness in the states would be catastrophic for America’s import and export businesses, especially since they are already suffering due to Chinese tariffs.